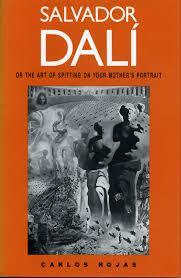 Salvador Dali research papers examine the leading painter of Surrealism. Salvador Dali (1904-1989) was a leading painter of Surrealism. His most representative and famous work remains The Persistence of Memory, which he painted in 1931. Even causal art students will immediately recognize the painting with the melted clocks. Dali, later known for his exaggerated pencil moustache, was later more famous for his antics and being “Salvador Dali” than much of his actual art. Salvador Dai was born in Figueres, Spain, the son of a lawyer. He studies drawing as a teen and attended the Real Academia de Bellas Artes de San Fernando in Madrid, where he became known as somewhat of a dandy. His early experiments with Cubism gained him some notoriety, and in 1926 he traveled to Paris to meet his hero Picasso. Dali’s work was increasingly gravitating to the avant-garde, morphing into Surrealism. The Persistence of Memory appeared in 1932, a representation of the rejection of rigid time. Today the work hangs in the Museum of Modern Art (MoMA) in New York City. Dali’s work was introduced into the United States in 1934, through an exhibition of his work, including The Persistence of Memory. Two years later his work appeared in the London International Surrealist Exhibition, during which he delivered a lecture in a deep-sea diving suit and helmet. Much of Dali’s work employs heavy symbolism, including the recurrent use of an elephant in many of his paintings. On his deathbed, King Juan Carlos of Spain visited, confessing to be a lifelong Dali fan. Dali gave the King a drawing, Head of Europa, which turned out to be his last. Roberto Matta - Roberto Matto Research Paper explores the life of an artist and the people he met, and how they influenced his art work over the years. Abstract Expressionist Artists - Salvador Dali is the best-known surrealist. Jackson Pollock's technique of dripping paint onto the canvas has this subconscious influence. Paper Masters writes custom research papers on Salvador Dali and examine the leading painter of Surrealism.